Moving during the Holidays is a tuff task. There are twice as many things you would need to accomplish in order to relocate and celebrate the upcoming holidays. To take your mind from the dull chores of unpacking and settling in, why not spend some quality family time? London is one of the greatest places to be during Christmas, there is just so much to do here. Grab your loved ones and have a fun day at some of the most colourful and festive seasonal markets in the old capital. We assure you; it would be a day worth remembering. 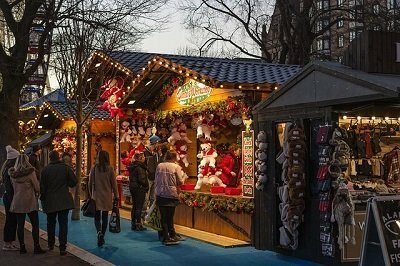 We will start our list with one of the most anticipated and loved Christmas markets – that at the winter wonderland in Hyde Park. Since the last decade, both the capital’s guests and inhabitants have enjoyed strolling around the Bavarian style wooden sheds, eating sweets and drinking hot beverages. The market is opened from early in the morning to late at night. You can buy all sorts of winter clothes, decorations and jewellery or go for a round at the ice rinks. For an especially romantic evening, you can take your significant other to one of the many spectacular shows and then for a ride at the giant observation wheel. If this doesn’t relieve you from the after-moving stress, nothing will. Christmas by the River is an annual market that takes place on London Bridge. Located between the Pier and Tower Bridge, it is one of the most festive places you can visit. The cabins are decorated with artificial frost and covered in colourful lights. You can find all sorts of food and drinks here as well as incredible gifts for your family members. Throughout the month of December, the markets host different events and workshops in which you can take part. Why not bring your kids and together with them create a glittery Christmas ornament or build a Gingerbread house? It is a great way to finally spend some time with the children after the relocation. There are many iconic marketplaces in London, and they all undergo a stunning transformation during the holidays. Cadman Market is a picturesque place with a long history you can visit all year round, but during the winter months, it is necessary to go there. The stunning Christmas decorations and shining lights will definitely make you feel festive and happy. Another place that undergoes an interesting change of decors is the Greenwich Market. 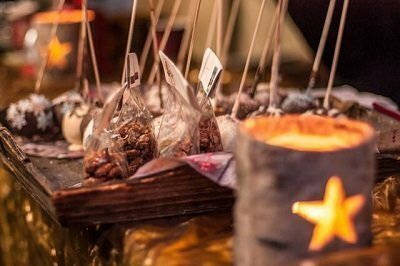 During Christmas, it completely transforms into an old Bavarian style market with lots of sugary foods and mulled wine. You can join different craft workshops or just look around for the perfect holiday gift. A lot of marketplaces offer you to take part in various festive activities, but none are like the Crafty Fox Market‘s. Here you and your entire family can dive completely into the Christmas magic. All the talented traders that join this fair present their own craftsmanship and work. There are a couple of locations in London where numerous sellers will offer their own artwork, handmade jewellery, clothes, children’s toys and so much more. It is a spectacle worth visiting. Another place that gathers producers and designers from all around Britain is the Solo Craft Fair. 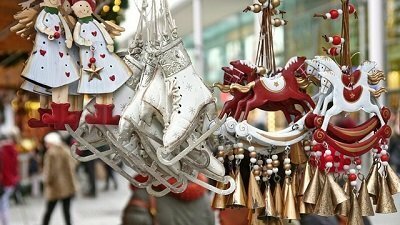 This Christmas market showcases the best local independent sellers. They even have a bar, so when you get tired of shopping, you can stop by and have a festive drink. The third market dominated by crafters and international traders is the Winter Festival in Southbank Centre. Here you can enjoy a large variety of foods and drinks from all across the globe. Find out how other countries celebrate Christmas and what are their traditional dishes. What more enjoyable way to relax after the hustle of your home move to London?